If you are the kind of person who despises everything home-made and believes that only expensive creams and lotions, can work wonders for your hands, think again! Any good cream can do the trick. One of the excellent nourishing creams is the malai (milk-cream) and it is inexpensive and readily available too. Massage your hands with malai each night and wash off the next morning. If you do not like the greasy and sticky feeling of malai, then you may go in for the creams and lotions which will soften your hands. Remember to nourish your hands several times during the day. Whenever you wash your hands, nourish them with a little cream or lotion. This will always keep them soft and supple. Every night before going to bed, apply a little cream on your hands and massage them. You do not have to spend a long time over it, just apply cream on the front and the back of the hands and massage each finger quickly. Bend the fingers backwards with the other hand and pull each finger gently to keep the joints flexible. Dry, hard, dirt-ingrained or neglected hands can have that “special wash” with sugar and olive oil (any vegetable oil will also do). Simply pour a little oil into the palm of one hand and add a teaspoon or so of sugar. Rub the mixture all over the hands, really rubbing it in, especially in the rougher areas. Rinse with warm water, dry and massage in a little cream. After your shower/bath put some baby oil all over, then towel off....or I like Avon's Skin So Soft Fusions collection. Get the body wash, lotion and spray oil and use then after your shower...nice soft skin...they have three scents to choose from. My skin is real smooth and soft hours later. 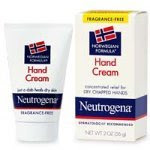 For your hands, I may suggest a cream you get from the pharmacy, it has urea in it which really helps itchy dry red skin. I have used it on my elbows when they get super dry and nothing helps and this does. You don't need a prescription. It may be behind the counter though. Massage your hands with a cream containing vitamin E after manicure. It gives your hand a smooth look. And if you realllyyyyy want soft skin you have to lotion every single day!!! !